These two major players in Europe's launch vehicles sector share a long history of cooperation that has underpinned the success of the Ariane family. On 15 September, CNES and ArianeGroup, the lead contractor for the Ariane family of launch vehicles, signed an agreement to step up their cooperation, innovate more closely together and pave the way for the launchers of the future. CNES’s Launch Vehicles Directorate (DLA) and ArianeGroup are fully committed to the successful development and marketing of the new Ariane 6 launch system, in their respective roles with ESA. In today's increasingly competitive global launch vehicles sector, it is vitally important to begin developing the technologies now that will fly on future evolutions of Ariane 6 from 2030. One of these is the planned new low-cost, reusable Prometheus engine, which CNES and ArianeGroup engineers began working on in 2015, with a view to proposing it as an ESA program. Prometheus will reduce production costs by a factor of 10 compared with Ariane 5’s current Vulcain engine. Six countries signed up to Europe's Prometheus program at the ESA Ministerial Council meeting in Lucerne, Switzerland, in December 2016, and work is ongoing with a view to having a prototype ready for testing in 2020. 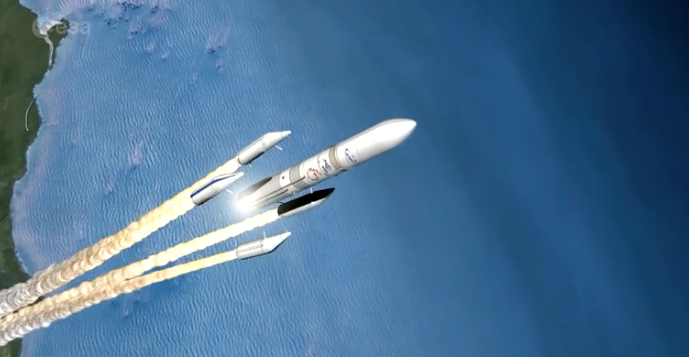 The purpose of the cooperation agreement signed by CNES and ArianeGroup on September 15 is to pursue close cooperation under the roadmap designed to shape the long-term evolution of the Ariane launcher family, including the Prometheus project, in order to continue working together to invent the new solutions that will enable Europe to maintain its global leadership in the launcher sector.